Blackberry Z10 is not the best-selling device from the Canadian OEM and ended up being a big pile of loss for the company. The handset launched with a hefty price tag, but the prices came down due to poor demand. 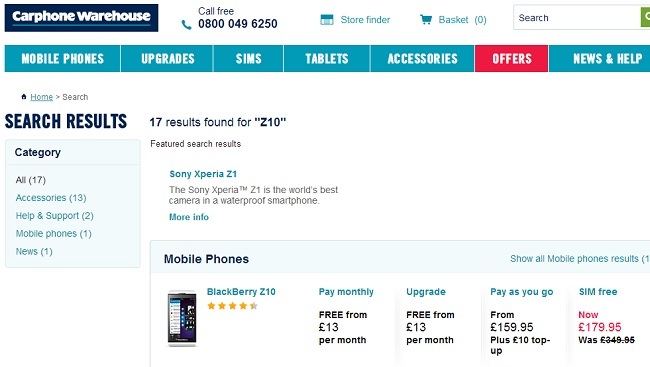 If you’re a Blackberry fan thinking about getting your hands-on Blackberry Z10, now would be a good time to get one as the price is slashed to £179.95 for the SIM-free version by Carphone Warehouse. This is the lowest price you could get for the Blackberry Z10, as the minimum price offered by any retailer in the UK is £249.99. This is a very affordable price, and might be a very solid deal for budget-conscious users as the device brings mid-tier specifications. The handset is also expected to get the latest Blackberry 10.2.1, which will bring a few new features as well as the ability to side-load Android apps using Android Runtime. 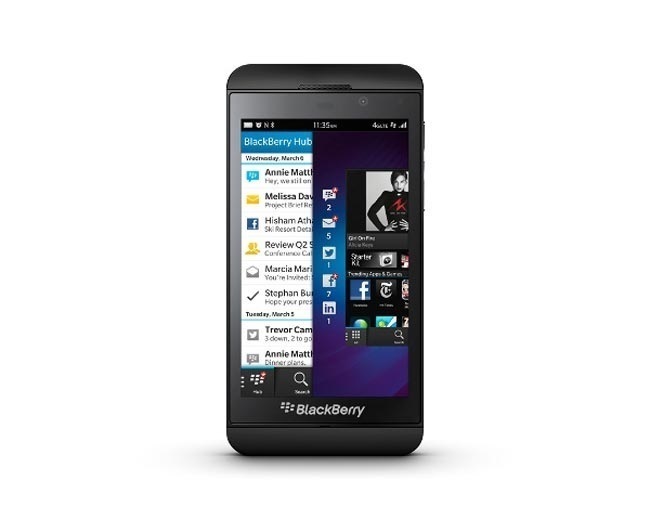 Blackberry Z10 packs a 4.2 inch display sporting a resolution of 720 x 1280 pixels, a 1.5GHz dual-core Snapdragon process with 2GB RAM and 16GB internal storage with microSD card support of up to 64GB. Other features include 8MP back camera, 2MP front camera, 1,800 mAh battery and runs Blackberry OS 10 out of the box. If this sounds interesting, head over to Carphone Warehouse and get a shiny new Blackberry Z10.